This is a picture of F-16A 80-0513 that was pulled across the road from 309 AMARG in Tucson, AZ to PIMA Air Museum. 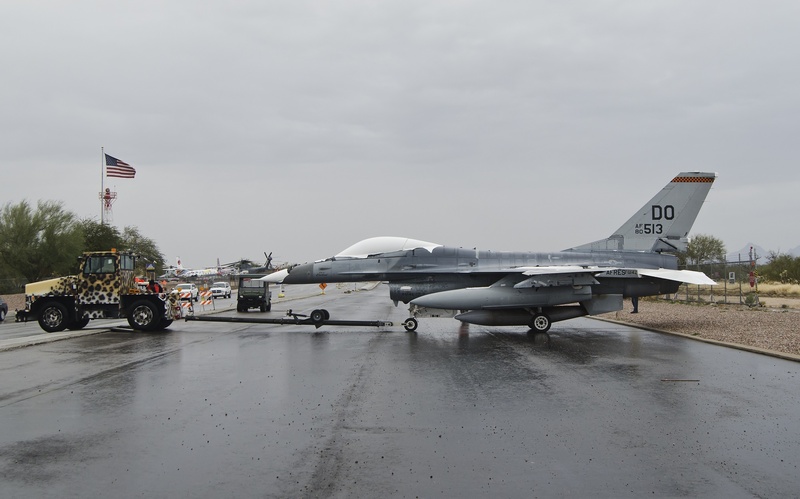 It is the F-16 that will be transported to MAPS Air Museum and added to our inventory. The target date of the pickup is the first week of March 2015. We have been looking forward to this acquisition for several years and she will be a wonderful addition to MAPS. I would like to thank all of the people who have worked to bring her here.